It was a busy weekend filled by catching up with friends and family, prepping for this week's blog posts, and tidying up the garden after a week away on the stunning Gower coastline in Wales. 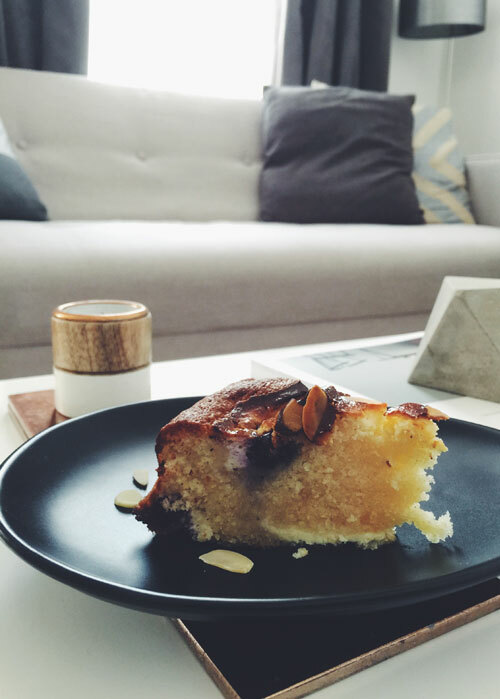 However, this hectic schedule was not going to stop me from whipping up a Brit Decor bake - it's simply been too long since my last kitchen creation! I am a huge fan of cheesecake, baked or dessert-style, fruit topped or chocolate, I love them all! So I decided to take this to another level and create a cheesecake / spongecake hybrid. 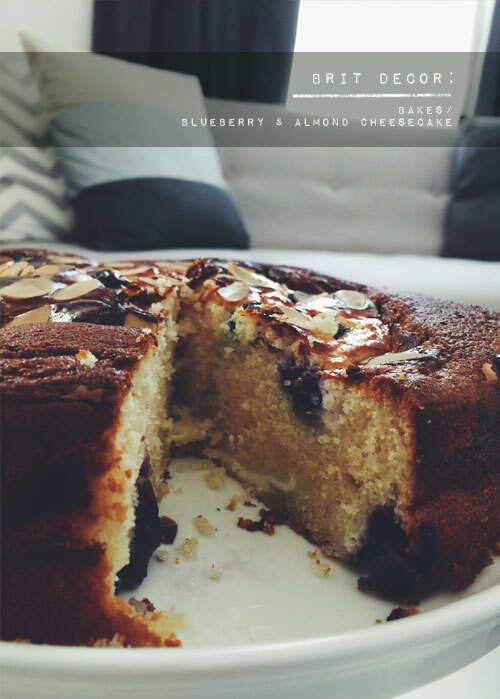 This bake turned out to be a melt-in-the-mouth delight, the cheesecake mix fused perfectly with the sponge to create a moist finish which contrasted nicely with the crispy flaked almonds and juicy blueberries. This also looks great too with the swirls of cheesecake, the blue bleed of the berries and the warm copper tones of the almonds. As for taste...this baked disappeared very quickly! Heat the oven to 1800c and grease a 23cm baking tin. Mix the cheesecake ingredients together and put to one side. Now for the sponge mix - put the butter, flour, eggs, sugar, yoghurt, vanilla into a bowl and mix using an electric whisk. Scoop half of the mixture into the baking tin and then sprinkle with half of the blueberries. Then add several spoonfuls of the cheesecake mix. Cover over the cheesecake mixture with the remaining sponge mix before adding the rest of the cheesecake mix along with the blueberries. 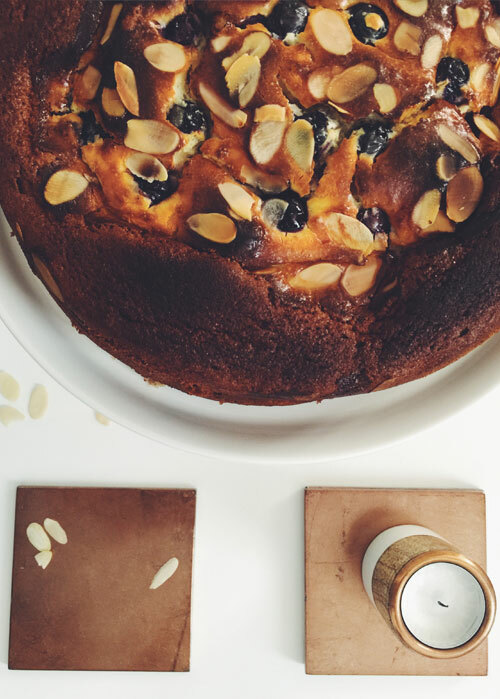 Finally, sprinkle a handful of flaked almonds on top and then place in the oven for up to one hour. 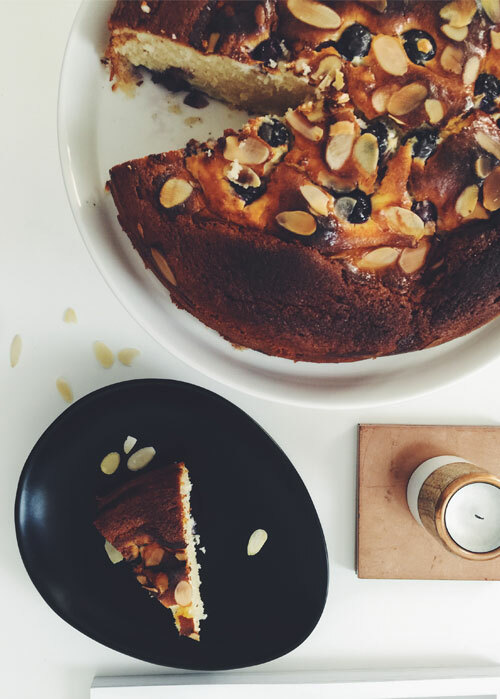 Any cake is good in my eyes, cheesecake or just good old fashioned sponge cake, this looks particularly good, I made a Bara Brith this weekend Mary Berry style, it was a good weekend for baking and most importantly eating cake! Bara Brith - now that's a hearty classic! I love cake!